The Moray property market has had a flying start to the year with encouraging levels of demand and high quality property coming to the market, and an increase in property viewings, according to CKD Galbraith. 2014 was a year of steady growth for the Scottish property market and CKD Galbraith's statistics from the first quarter of 2015 suggest that this trend is set to continue with the firm's overall sales up 24% compared to the same period last year. As the traditional spring selling season commences the firm's offices across Scotland are generally reporting rising levels of buyer confidence and activity. CKD Galbraith research reported that the first quarter of 2015, from January to March, saw the number of properties sold by the Moray office rise by 57% compared to the same quarter of 2014. Buyer interest was also significantly up with a 7% increase in property viewings and a 55% rise in potential buyers registering with the office in comparison to the first three months of last year. Rod Christie, partner and head of residential at CKD Galbraith's Elgin office, said: "Elgin has experienced an increased demand for traditional family houses and I'm confident that our established team has an unrivalled advantage in the local market to be able to secure and sell such properties at realistic prices." "The statistics demonstrate a healthy market and we forecast this is likely to continue throughout the spring and summer months." The firm has asserted that the new tax system in Scotland, the Land and Buildings Transaction Tax (LBTT), should not put potential buyers from outside Scotland off, the local office's sales teams are highly experienced in guiding buyers through the process. During the first quarter of the year nearly 10% of the firm's sales were completed by international buyers with help from the firm's friendly teams. CKD Galbraith's Elgin office is currently marketing a fantastic family home to the west of Elgin. Bridge View was completed in 2010 and is arguably one of the finest houses in the city. 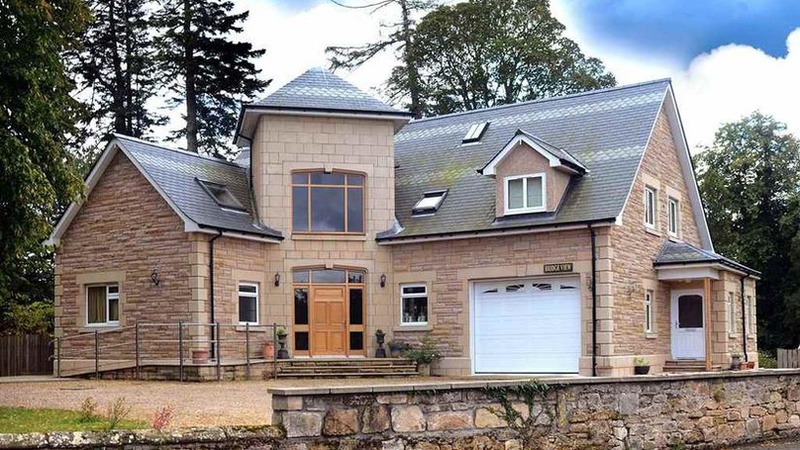 It was designed by highly regarded Elgin based architects Ashley Bartlam and was built by the previous owner using skilled local tradesmen. Sitting in an elevated position with fine views over the River Lossie, the house is constructed using a timber wood-framed kit with the use of Hopeman dressed stone under an attractive two toned pitched slate roof. Bridge View has been completed to an exemplary standard and provides flexible and spacious five bed family accommodation set over two storeys. Bridge View is currently on the market for offers over 580,000. For further information please contact CKD Galbraith's Elgin office on tel: 01343 546362.